Invader Robot-METALLIC Comic Con Star Wars-Pop! 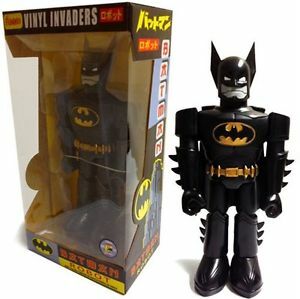 Comic Con 2012 Vinyl Invader Batman Robot in Black Suit that stands 10" Tall. Limited to only 480 pieces.